Good Morning Green Panda friends and happy Halloween week. You often hear that the key to financial freedom is living on a budget, but what does that really mean? Living on a budget means that you have a fixed income; it also means that you have fixed expenses each and every month. Living on a budget means that you live within your financial limits and you don’t have to use credit as a necessity to pay for your monthly living expenses. Credit cards should be used as a payment method and not as a means of payment. Personal loans and lines of credit should be used to pay for larger expenses such as furniture, appliances and your education. If this is not your current reality then you are not living on a budget, but don’t worry it’s easy to change your financial habits. Your budget is a direct reflection of your lifestyle. If you are spending more money than you make each month then you are not living on a budget, you are also not living within your financial limits. Not having a budget is sort of like a financial free fall. If you don’t live on a budget it may be because you don’t know how to track your spending and therefore you spend money on anything that you want. If you don’t live on a budget you may live pay check to pay check and therefore you don’t have an emergency saving fund. Not having savings can be very dangerous because it forces you to use your credit card to pay for expenses if you ever have a financial emergency. Using credit cards and personal lines of credit in case of an emergency can be very costly in the form of interest charges and cash advances. If you spend more money than you make each month it may be due to the fact that you just can’t afford to live your current lifestyle. If your monthly expenses are too costly for your current lifestyle then you can start creating your budget by making cuts in your personal spending. 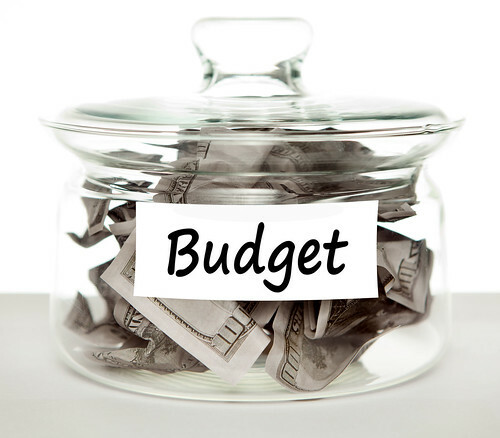 Creating a budget is very simple and it can be done in two easy steps. First sit down and make a list of all your monthly expenses, the easiest way to do this is to look over your bank statement and your credit card bill from the previous month. This will show you exactly where you are spending your money and you will also be able to see where you can make cuts in your monthly expenses. Once you have determined where your money is being spent and where your expenses can be cut you can start to rebuild your monthly budget from the ground up. Start with the basics, if you need it to keep warm and stay full (i.e. housing and food costs) it is essential in your budget. However what is not essential is buying new clothes every month, paying full price for your new clothes and eating out at restaurants. Keep your basic budget simple, you may have to change your lifestyle but you can’t expect to change your budget but keep your current living and financial habits. Continue to add expenses into your budget by importance of necessity and add savings into your monthly budget. Once you have reached your target spending amount and it is within your monthly income then your budget is complete. You can track your new budget and make sure that you stay on track with your spending by using online budget software such as Mint or Adaptu. I love budgets and am I always looking to learn new things or ideas. Maybe in the future you can post a copy of your budget or a template of how you organize yours.